Modern contact centers rely on the Cloud. New channels plus mobile-connected customers have created the need for seamless transitions between customer touchpoints. 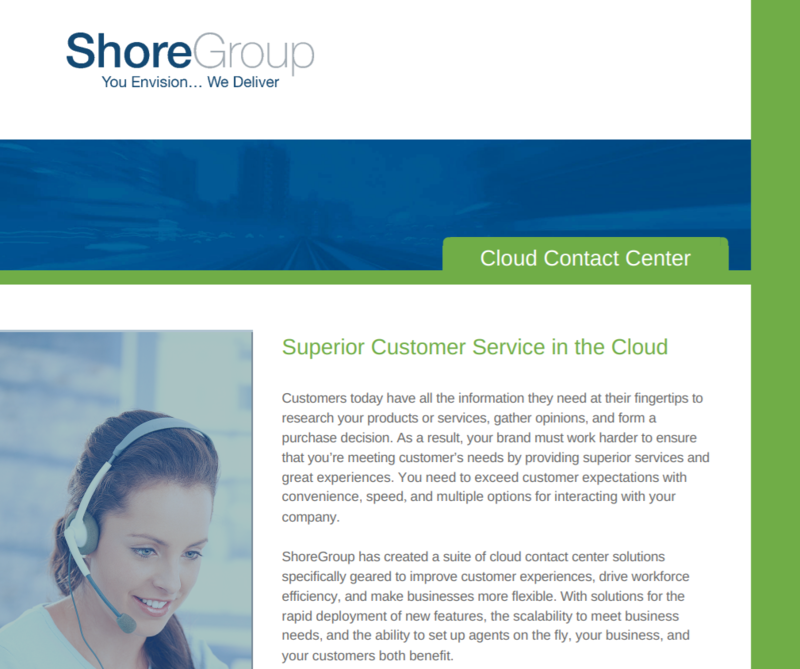 Download our Cloud Contact Center datasheet to learn about three cloud solutions that will match your contact center needs and start creating better experiences today.